When Miss Emma from Baby Ballet North Surrey announced she was pregnant, half of the Surrey-mummy population gave a collective heartwarming sigh. Hundreds of pre-school children have attended Emma’s ballet lessons, where she is well renowned for her infectious enthusiasm and boundless energy. I’ve been a Baby Ballet ‘mum’ for the past three years, and both of my children have passed through Emma’s doors week after week and fallen in love with Emma. I think I speak for many of my fellow ballet-mums when I say that I was so happy that Emma and her husband were expecting a baby. We all watched her bump grow, wished her well at her final classes, and waited in anticipation for news of a baby ballerina. Emma and Ben welcomed a beautiful baby girl, and it was a privilege to photograph them at their Surrey home when she was just three weeks old. 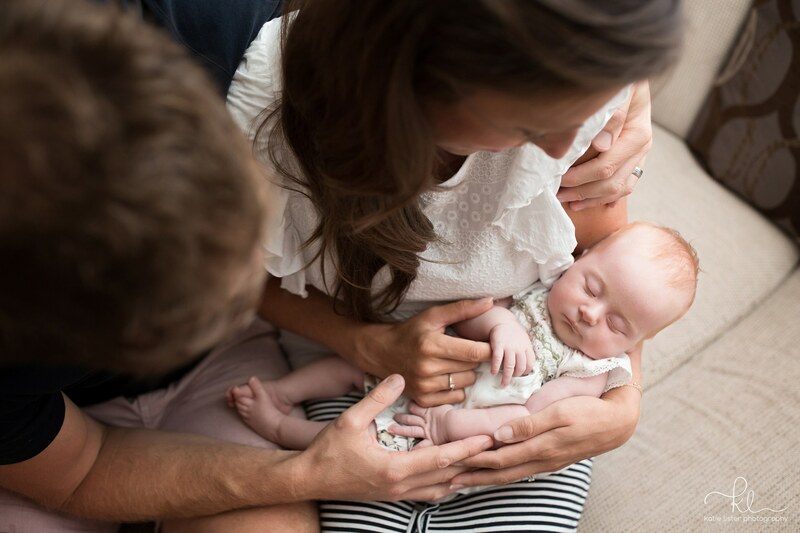 My relaxed approach to newborn photography makes it easy for new parents to fit a baby photo shoot into the tiring schedule of having a newborn. You don’t have to leave the house, I can photograph baby at any age, and Ben even made a delicious brunch in between photographs! 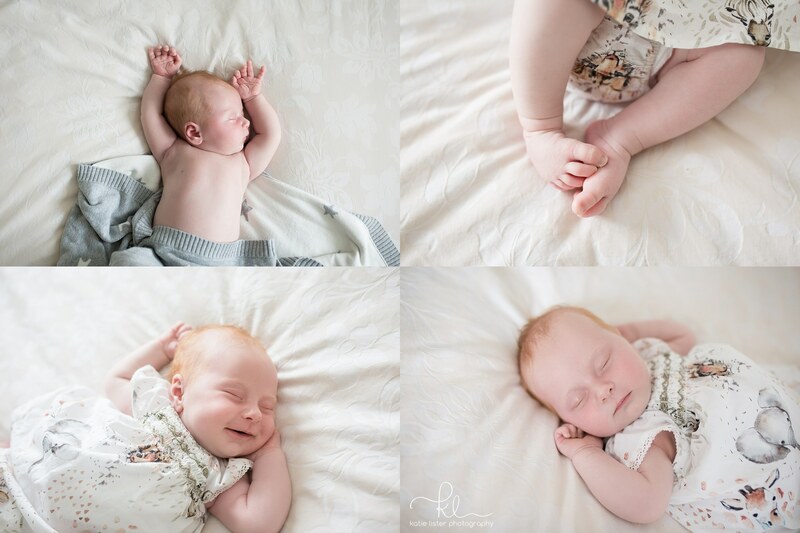 Not only did I have the honour of being Miss Emma’s newborn photographer, but I also enjoyed a lovely long cuddle with her gorgeous girl – what a treat!